Welcome home! 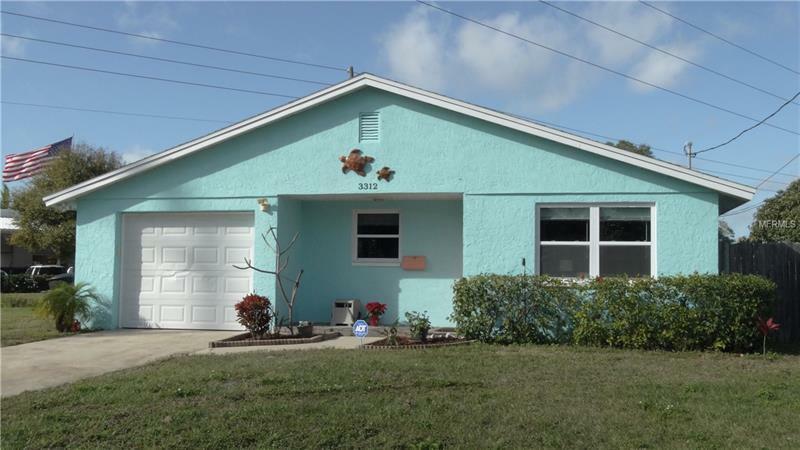 This quaint, and charming 2 bedroom, 1 bath home features an attached 1 car garage, and is located in spectacular St. Petersburg! The location is top notch! Located on a dead end street steps from The Pinellas Trail, minutes from The Tyrone Mall, with MANY amenities nearby, and only 5 miles to beautiful Florida Beaches! Upon entering this home you will notice the bright, light open plan concept. The kitchen has wood cabinets, stainless steel appliances (range new in 2017). There is also a large closet in the dining room that can be used as an office nook. This house is all about utilizing the space that it offers. Towards the back of the house are the two bedrooms, both with plenty of closet space. The bathroom has a shower and tub combo. There is an inside utility room with a washer and dryer hook up (washer and dryer convey), utility sink, cabinets for extra storage, and the water heater. The backyard is fenced, and there is a wonderful patio area for outdoor gatherings, or to just relax in the shade under the lovely sun sail. The A/C Unit is new from 2017. Make this house your new home today!